12:00 PMDespite never being signed to an endorsement deal by a sportswear brand, veteran Las Vegas Aces forward Tamera “Ty” Young has amassed an insane shoe collection of more than 600 pairs (and counting) while earning the crown as the WNBA’s biggest sneakerhead. Now, she has a shoe of her own. 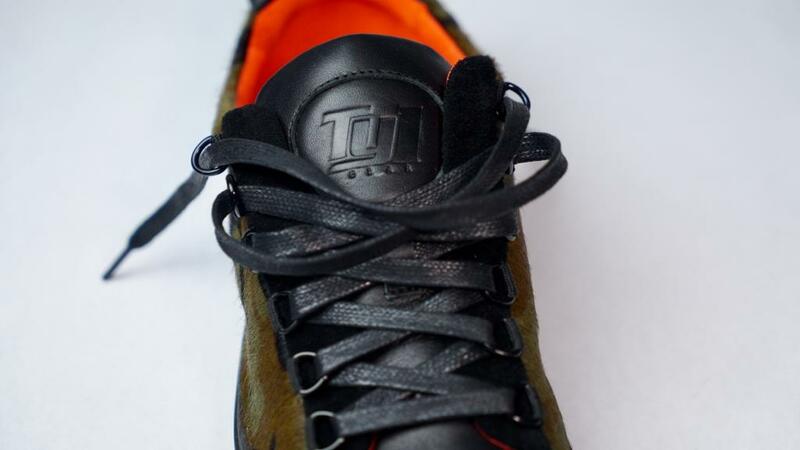 On Tuesday, Young debuts the “Army Youngie” signature lifestyle sneaker via her personal clothing brand TY1 Gear, which has been worn by retired NBA champion Stephen Jackson and Houston Rockets point guard Chris Paul. Designed by Young herself, the shoe’s details include camo pony hair, a calfskin tongue, a suede lace panel and toe cap, leather comfort insoles and leather interior. Before the release, The Undefeated caught up with Young, who’s spending the WNBA offseason playing overseas in Israel, to talk about the career milestone. How does it feel to now have your own sneaker? It’s an amazing feeling. Being a sneakerhead and having the opportunity to design and create my own shoe is an achievement. I’ve worked hard to build my own brand, and to see the hard work paying off is an incredible feeling. I never imagined having my own sneaker — especially one that isn’t a basketball sneaker. How long have you been working on the shoe? Since the summer. … It was brought to my attention that I should create my own shoe because of my style and the influence I have. I was hesitant at first because I was unsure of the process of creating and selling a shoe. What if I created a shoe that no one liked, or would support? The love I have for low-tops. Camo is a print that is very fashion-forward and loved by many. The shoe is a sneaker but can also be worn casually. That is something that was important to me, especially with my profession. What do you like most about the “Army Youngie”? The material used to create the shoe and the sleek look. You can dress it down for a chill, casual look or dress it up for a business or business casual look. Can we expect a TY1 Gear basketball sneaker in the future? The TY1 Gear “Army Youngie” drops on Tuesday at noon EST, exclusively on the brand’s website tyoungone.com. The shoe is available in men’s sizes (8-13) and women’s sizes (7-10) for $200 a pair.